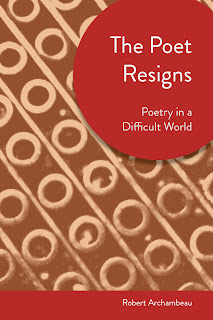 Since I've already done an official book signing at the AWP conference in Boston, I imagine it's time to officially announce the publication of The Poet Resigns: Poetry in a Difficult World, a collection of my essays on poetry, poetics, and related matters. It's out now, available on Amazon and elsewhere, and weighs in at 323 pages. And it's on sale right now for a mere fourteen bucks, four dollars off the regular retail price. In which I discuss my evolution from poet to critic, and the issues—mostly a love of beauty in a world of troubles—that animate both my poetry and my critical writing. In this essay I go through the various arguments people have made about the decline of poetry's readership, and conclude that, despite claims for a mid-century importance of poetry, the conditions most of the people who write about poetry's decline in popularity relative to other genres yearn for are really Victorian conditions. To restore poetry to that level of popularity, one would have to rebuild a lot of Victorian conditions of literacy, social elitism, primitive science, and expensive publishing—conditions we should be glad we don't have. Poetry and Politics, or: Why are the Poets on the Left? Although most of us like to think we hold our views because those views are true, there are some good reasons to believe that the place we hold in society conditions those views—and when we look at where most American poets fit in American society, some pretty solid social theory (Alvin Gouldner, Pierre Bourdieu) give us social reasons for the leftish views of most American poets. I mean, we're no more immune to politics that go with our jobs than are most Wall Streeters. This essay looks at the poetics of Surrealism, and of Language Poetry, in terms of the equation often drawn in both movements between aesthetic and political radicalism. I suppose you could say that the essay finds the arguments for an inherent relation between these kinds of things wanting. 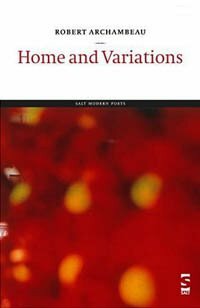 This essay kicked up a lot of dust when it came out in the Cambridge Literary Review a few years ago. 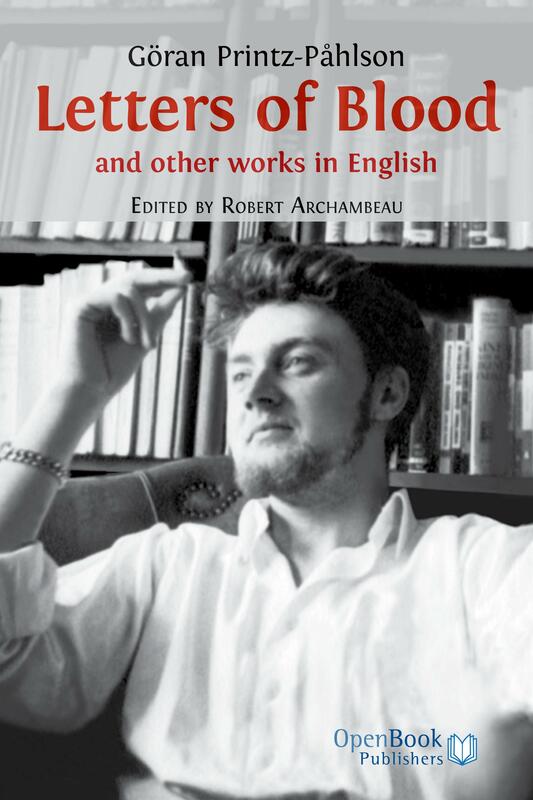 It argues that the social claims made by some backers of the avant-garde British poets associated with J.H. Prynne don't hold as much water as those backers might wish, and looks for explanations why such large claims get made. In which I take a stab at defining the post-avant, and look at the meaning of its politics, which are largely a matter of refusing large claims and totalizing statements. In the end, I try out a generational explanation for why the post-avant is as it is. 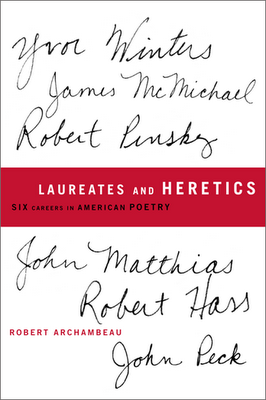 A fast survey of the relation between poets and power over the course of several centuries, leading up to the present moment. Not the way they used to! 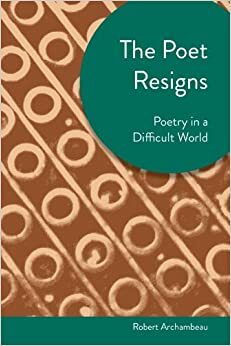 This essay examines what happens to poetry when there is no shared frame of symbolic reference between poet and readers. There's a fair bit about Yeats, who worried endlessly over the issue. The essay takes a look at how Bernstein defined poetic thought and academic thought as opposites, and at a huge problem with his argument: all of his poetic thinkers are academics, and big-time, much-cited ones at that. I seek a psychological/sociological explanation for why Bernstein would make such an argument, and claim that it has to do with joining academe late in his career. I examine the meaning of "the state of the art" at various points in the history of British and American poetry, up to the present day, when I make some perhaps dangerous claims about the current state. In which it turns out that everything we've been told about the New Critics is wrong. An examination of where the poetry-not poetry line has been drawn since the late 18th century, with reflections on the meaning of our contemporary definition of what makes a poem a poem. 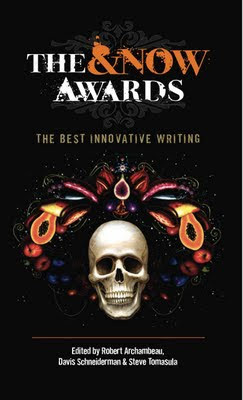 In which I ask what it means to write avant-garde literary criticism. This was a piece commissioned by Poetry as a response to a selection of manifestoes they ran on the 100th anniversary of the Futurist manifesto. I conclude that the manifesto doesn't have much of a function under current socio-aesthetic conditions. This surveys the entire body of Reginald Shepherd's poetry. I predicted that he was on the verge of emerging as one of the major poets of his time. Sadly, we'll never know if I was right: he died a few months after the essay ran in Pleiades. Wow, were they mad at me when I first gave a version of this essay as a conference paper down in Louisville. I think the crowd thought I was saying Mullen was no good. What I meant was that the kind of wit she plays with, and that we love, is exactly the kind of wit that eighteenth century critics condemned. I add to this some thoughts about what the difference in taste regarding wit can tell us about the role and situation of poetry in different times and places, and under different institutional conditions. A survey of the whole of his poetic career, in which he evolves from a kind of Black Mountain poet into something else. 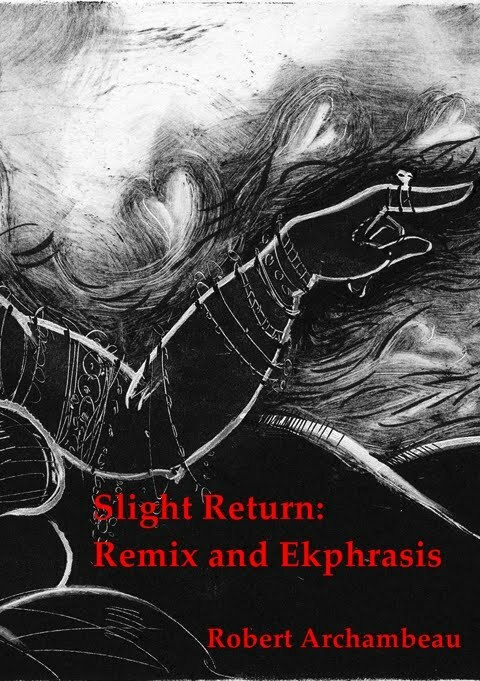 I trot out some music theory from Stockhausen, Schoenberg, and Duke Ellington to get at the meaning of avant-garde form and the interrogation of race in Giscombe's poetry. Where Winters is remembered at all as a poet, he's seen as an arch-formalist. But he started off as an Imagist, publishing alongside Gertrude Stein and the like. I try understand what happened. Since Robert Lowell and Allen Ginsberg, there's been this sense that poets need to break through inhibition into something more open and genuine. 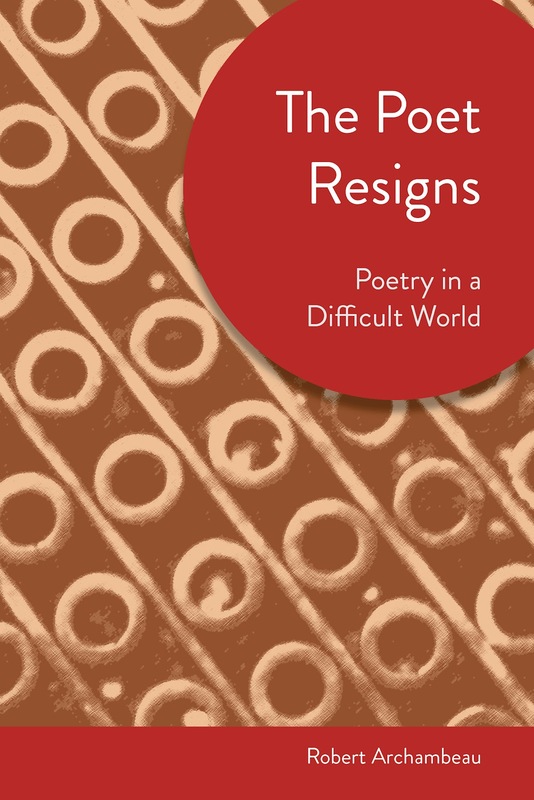 This essay examines a tradition of reticent poets that runs counter to all that. 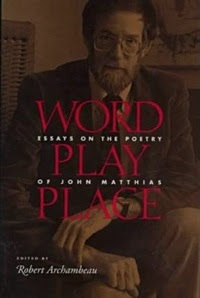 John Matthias has interrogated the meaning of play, and its relation to a world of power and danger, more than anyone. It's one of the reasons I've remained drawn to his poetry for decades. This essay introduces his work from the aspect of power and play. It turns out there are strong parallels between Neruda's poetry and poetics and some of Heidegger's darker moments. I worry the issue a bit here. The sad fate of the Irish nationalist poetic tradition in post-nationalist times. James Joyce was born in Omaha in 1939. At least that's what I say here. And I'm pretty sure I'm right, despite what you may have read on the internet. What does it mean for poetry when the poet lives as a bohemian, as opposed to a professor of creative writing? The editor of an earlier version of this essay found the conclusion so irksome he had it changed. But it's back to its original form here. The question of the poet who leaves poetry means something to me. Looking at Oppen and Rimbaud helped me feel better about the whole issue. Robert Kroetsch was one of the grand old men of Canadian poetry, and one of the progenitors of a movement virtually unknown outside his country. A meditation on Nick Cave, which is really about what it means to come from the provinces and to care about literary culture. What poets have meant to me, and how they've helped me live. I'm very glad to see this book come out. I hope you'll check it out.